A nice but cheap set of card football shields from the 1998 world cup made by Golden Wonder promoting the joy of Nik-Naks and Wotsits. 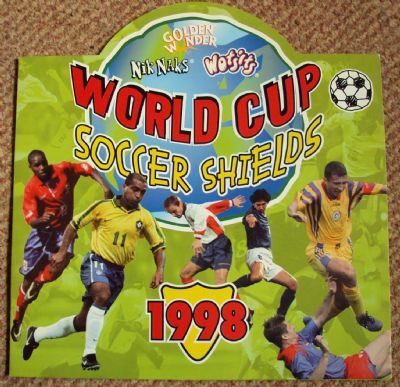 Contains 30 collectable shields of world cup players in a folder. 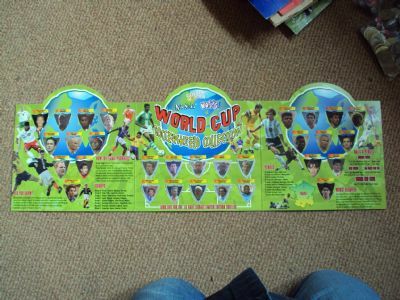 30 player shields in collector folder issued by Golden Wonder. 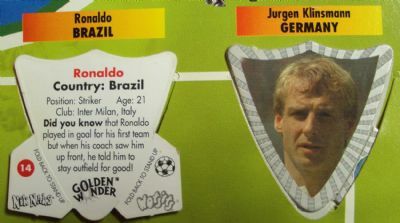 Typical design with photo on one side and brief biog on the reverse.